Kate Byrne is a 22-year-old primary school teacher living alone in a sleepy, quiet town of Endport in Tasmania, Australia. She is having an affair with the father of one of her brightest pupils and whose wife has recently released a novel based on an unsolved crime in Endport of a young adulteress – Murder at Black Swan Point. 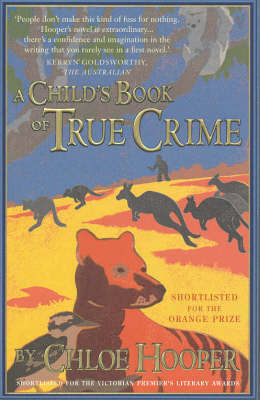 With an vivid, and unnerving overactive imagination, Kate retells the unsolved crime through the eyes of a community of local animals which is interwoven with her narrative. Ellie Siddell was the young assistant and lover to the local vet, Graeme Harvey, until she was brutally murdered, having been repeatedly stabbed in the face and chest. The most obvious culprit of the crime was Margot Harvey, Graeme’s wife, but she was never seen again after that night. Her car was found parked at the Suicide Cliffs and, although her body was never found, it is assumed Margot was the murderer. As Kate becomes more paranoid about her affair being discovered, she increasingly begins to draw parallels between her life with Ellie Siddell’s. Kate further discovers clues that her lover’s wife knows, with strange late night phone calls to her house, an eerie scratching on her classroom door ‘I know’ and with her brakes tampered with, Kate fears for her life. But Kate herself is an unusual character and an unreliable narrator. She is a teacher, an adult, but she is fascinated with the world of children and is almost a child herself. She asks her fourth-graders philosophical questions and it utterly rapt with their responses, particular her lover’s son’s replies. In some more slightly disturbing passages, she baby-talks to her lover. Chloe Hooper’s debut novel is an amazing read. It reads like a hybrid of true crime fiction, a thriller, a children’s story and history. The plot is tightly written and consistently builds up the tension leaving you to constantly wonder how the story could possibly end? The downside to this is, of course, the ending might not reach people’s expectations. I thought it was slightly an anti-climatic ending and a little disappointed. However, this was a thrilling and extremely enjoyable read and I finished it in one sitting.